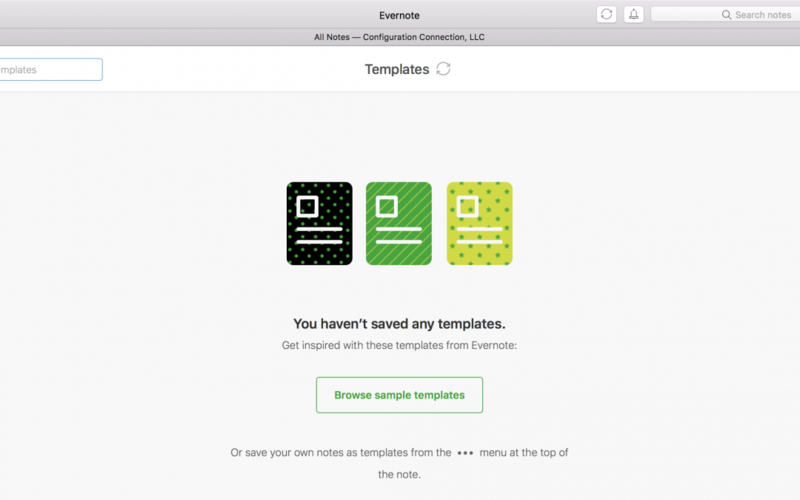 Evernote has released a new update across all versions and devices to introduce the new template functionality. I am excited about this new feature, because it makes using templates easier, faster and smarter. 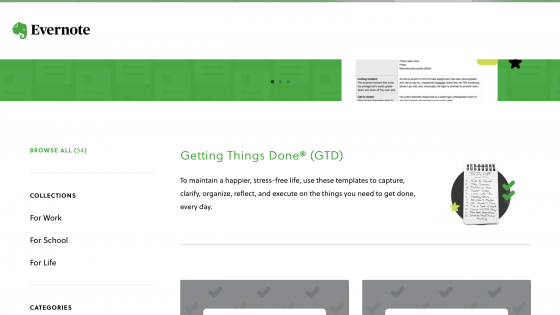 Evernote has also built a template gallery with customizable and easy to install forms. To see how this works, simply open Evernote on your computer, tablet or phone and click the green “+” sign to open a new note. You will notice a new “Template” button just below the title. If you want to use a template, simply click the button. The first time you open it, you will go to a screen that looks like the picture above. From this screen, you can browse templates in the Evernote gallery by choosing “Browse sample templates”. This will take you to Evernote’s existing 34 templates. There are thumbnails of each template and categories you can browse through. After you have made your selection, simply click the green “Save This Template” button in the top right-hand corner. Evernote saves this back to your personal template gallery. From here you can use the template as-is or you can customize it to fit your needs. If you have exisiting templates you want to add to your gallery, go to your existing note that contains your template and click the “•••” in the upper right hand corner of the note. From here, you can select “Save as Template”. This will save the form to your personal template gallery. The next time you open a note on any of your devices and click the “Templates” button, your saved forms will be here for you to choose. You can begin adding in information to your template right away. Evernote keeps your template safe in your gallery. Sara Genrich is an Organization and Productivity Consultant, an Evernote Certified Consultant and the creator of the Organizing@Work for Success Workshop. She’s committed to providing real-life solutions so her clients have time to focus on the things that matter.